Over the centuries astrologers have correlated various body parts and ailments with signs, planets and houses, whether natal or by transit or progression - and the lively debate continues. I have long been fascinated with medical astrology and some twenty years ago I came across a little-known concept in medical astrology. It continues to be relatively unknown, due to the untimely death of its proponent a year or two later, and I would like to reintroduce it. The concept in all likelihood originated with its proponent, Robert Carl Jansky (1932-1981), although he notes in his "Selected Topics in Astrology" that he was attending an astrological conference in Europe and someone handed the ancient lore to him stealthily in a restaurant while he was dining alone. Jansky states that it originated centuries ago with an Arabic astrologer and many ancient astrologers had unique concepts and knowledge which were not passed on. 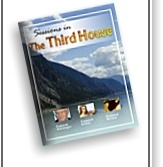 Take the South Node and construct an equal house chart with the South Node as the Ascendant. The North Node begins the 7th house. Place the natal planets into the respective houses, and note which planets are retrograde. Birth times are important for the placement of the Moon and Mercury - but the astrologer *can* get by on just the birth date alone. Houses 1 to 6 rule the right side of the body, while houses 7 to 12 rule the left side of the body. Houses 1 and 12 are the head of the body, so if you construct the chart traditionally, it looks as if the "body" is lying on its side. For those of you who are directionally challenged (which I am), it helps to rotate the chart around so the Ascendant resides in the position of the MC and the "body" is upright. Retrograde planets affect the back of the body (as viewed from a frontal position) while direct planets pertain to conditions in the front of the body. The planets are not in their traditional rulerships of various portions of the body, but they do follow certain principles based on their essences. Here are some principles. Mercury - agility of that bodily portion, mental outlook on condition in that region, "nerves"
Mars - blood, inflammation of a febrile or acute nature, fevers, infections Jupiter - expansion of bodily part or condition, and with Mars, where one overdoes matters. It is very helpful to look at transits, although I have not experimented much with progressions. Aspects are important! How about a look at Ludwig van Beethoven's South Nodal chart? There is some debate over his birth date; his baptismal date is 17 December 1770 in Bonn, Germany but sources indicate 15 or 16 December as his birth date. I have selected 16 December 1770, which places Beethoven's Moon in Sagittarius and South Node at 26 Taurus 30. Caveat: I'm neither a doctor nor in any other medical profession, and the delineation I offer is based on an astrologer's medical layperson knowledge, and therefore purely speculative. Medical astrology is still a very young science and should not take the place of the advice or diagnosis of fully qualified medical personnel. Immediately you will notice that half the planets are in houses 7 and 8, while Uranus is near the Ascendant from the 12th house, on the left side of the head. It is at midpoint between the 12th and 1st houses. A planet's location does make a difference - it can help to pinpoint the area in which a condition may occur. Note, too, that Beethoven has four Fire planets, five Earth planets and one Air planet - none in Water. As one can imagine, he was pure energy, very grounded but neither able to detach from situations and communicate or rationalize about them without rashness, nor to be in touch with his feelings except through creativity (Fire) in music. There are several theories about Beethoven's deafness. He claimed that he fell and struck his head at an early age. There are speculations that he might have acquired syphilis of his 8th nerve (being the auditory nerve) from his mother, and he had a febrile illness in summer of 1797 at age 26, possibly typhus, in which his deafness supposedly began. Which theory would be the most likely? We have Uranus in Taurus on the left side and Mars in Gemini on the right side, both retrograde. Saturn in Leo rx squares Uranus from the 3rd house, while Sun and Mercury (and possibly Moon) oppose Mars from the 7th house. Venus in Capricorn inconjuncts Mars from the 9th house. Keep in mind that Beethoven's deafness was progressive. I would rule out the 1797 fever because it occurred so late. Venus' position in the 7th (reproductive system, where most venereal diseases begin) hints at the syphilis but modern research by the Argonne Laboratory shows no levels of mercury in Beethoven's hair, so syphilis is ruled out. However, Uranus also indicates accidents and sudden blows (along with Mars) and is squared by Saturn (bone structure) and makes it entirely possible that Beethoven suffered falls or blows to the head as a child. Additionally, when Beethoven died, a pathologist who founded the science of morbid anatomy, Rokitansky, discovered that Beethoven had Paget's Disease, which is a chronic disorder that generally results in enlarged and deformed bones, excessively breaking down and reforming bone tissue - which causes bones to weaken, resulting in bone pain, arthritis, deformities and fractures. The autopsy showed that the hearing nerve was crushed. This is strongly indicative of Saturn (bones) squaring Uranus (nerve) and it is also evident in Beethoven's prominent forehead and chin in later life. Mars and Uranus in the head region also show severe headaches and while that is not mentioned in my research, they must have occurred with the change in Beethoven's forehead and chin. I will now turn my attention to the greatest and most lasting mystery about Beethoven. It was suspected for many years that Beethoven had lead poisoning, and let's review the symptoms of lead poisoning in adults: fatigue, depression, heart failure, abdominal pain, gout, kidney failure, high blood pressure, wrist or foot weakness, reproductive problems and anemia. The sources of ingested lead in the 1700s and 1800s would have been leaded drinking glasses, crystal and flasks, certain inks, ceramics, old window glaze and possibly paint. The concept of lead poisoning was unknown in that era and Beethoven could not understand why he was in such poor health; in a letter shortly before his death, he pleaded for his kith and kin to uncover the cause of his problems. Rokitansky indicated that Beethoven was a heavy drinker and had cirrhosis of the liver and pancreatitis. It was known that Beethoven suffered from bad digestion, chronic abdominal pain, indigestion, irritability and depression. The bad digestion and indigestion are indicated by pancreatitis while the rest fit the picture of lead poisoning. Cirrhosis can bring about abdominal swelling. Beethoven suffered an abdominal illness in April 1825 and was subsequently operated upon four times to reduce abdominal swelling and drain abdominal fluid. The dates of surgeries are 20 December 1826, 8 January 1827, 2 February 1827 and 27 February 1827 (this is twenty-odd years before discovery of anesthetics; one shudders to think of what was - or wasn't - used). I would consider the poisoning to be from ingesting lead by liquid because Neptune is in Virgo in the 4th (lower abdomen/digestive system) - possibly square the Moon - and Venus is in Capricorn in the 9th on the other side. Neptune shows poisoning, mysterious ailments, edema and it is in its fall in Virgo (assimiliation of what one ingests). Venus would show a love of good food and drink, and Capricorn rules metals, especially lead. The surgeries show that transiting Uranus and Neptune were in Capricorn; Neptune was within orb of inconjuncting Beethoven's Saturn and Uranus was within orb of conjuncting Beethoven's Venus - and the date of the fourth surgery shows exactitude of the inconjunction and conjunction. The first surgery took place while Mercury was retrograde at 18 Sag 46 and laid down the groundwork for the failure of the surgeries. It was not until September 2000, one hundred seventy three and one-half years after his death, that a conclusive diagnosis of lead poisoning was made at Argonne National Laboratory in Illinois. Scientists at Argonne's Advanced Photon Source obtained several strands of Beethoven's hair and performed non-destructive X-ray beam experiments involving side-by-side testing of six strands of Beethoven's hair, a standard hair of known lead composition and a standard "lead glass" thin film of known lead composition. The research team found elevated lead levels that averaged about 60 parts per million (ppm) in the six Beethoven hairs. Today's Americans have an average of 0.6 ppm of lead in their hair, which means that Beethoven had 100 times the average amount of lead in his system! In addition to showing the lack of mercury and the high concentration of lead in Beethoven's system, analysis also indicated that Beethoven avoided opiate painkillers during his last months (the hair shows the last six months of life), keeping his mind clear for his music, which he continued working on until the day he died. The Earth Grand Trine between Uranus, Neptune and Pluto shows a grim determination to "tough it out". Interestingly, astrology continues to work after death and just this year transiting Pluto was conjunct Chiron at 10 and 11 degrees Sagittarius, respectively. Transiting Pluto brought about a resolution to Beethoven's emotional plea for discovery; it was possibly conjunct Beethoven's Moon. One certainly feels for Ludwig van Beethoven! Had he not been so affected and afflicted, would he have created music similar to that which he created?